A man visiting the Dublin Zoo on Saturday apparently decided it would be a good idea if his kid relative got a little closer to the rhinos for a photo op - so he put him over the fence. The child was reportedly inside the enclosure with several rhinos for 20 minutes. "It was such a stupid thing to do," a witness told The Irish Mirror. "He was only meters away from the rhinos. People were totally horrified." And the adult was "trying to make the child go further in." Onlookers took (and tweeted) photographs of the incident, but it's unclear whether anyone tried to get the man to bring the child back over the fence. The scene has a bitter taste of recent events. In May, a toddler climbed into the gorilla exhibit at the Cincinnati Zoo in Ohio. Zoo officials shot and killed a 17-year-old gorilla named Harambe as a precaution to save the child's life. 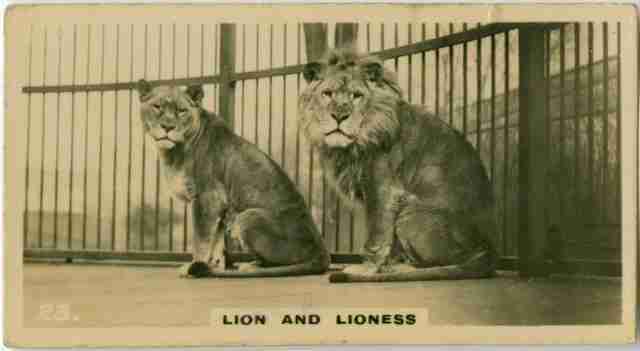 Zoo enclosures have evolved to be more naturalistic, compared to the metal cages where zoo animals were once confined. "If we look back 40 or 50 years, you'd go to zoos and see animals behind bars. You'd see them in a way that they're imprisoned, truly imprisoned, which means they're protected and people are protected," Ron L. Kagan, executive director and chief executive officer of The Detroit Zoo, a leading institution for animal welfare, told The Dodo after Harambe's death. As zoos learned more about what animals actually need, Kagan said, things began to change. Zoos opted for more natural, immersive exhibits that would help animals live more like they would in the wild. But these increasingly natural exhibits, which are more accessible than a jail cell, depend on human beings staying responsible for themselves around the enclosures - so that people and animals are safe. "When there's an intention to go into an enclosure, it's almost impossible to prevent that," Kagan said, citing a number of suicide attempts, most recently in Chile, where a man threw himself into a lion's enclosure, and zookeepers killed two lions to save him. In this case at the Dublin Zoo, both the child and the rhinos came out unscathed - this time. The Dublin Zoo, which is reportedly investigating the incident, did not immediately reply to The Dodo's request for comment.